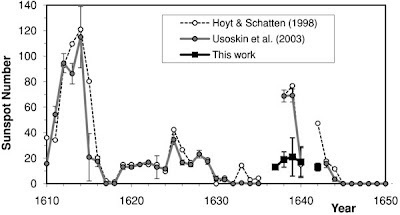 20 and ended in ~ 1645.
than this in about 1618.
sunspot cycle is displayed in each of the figures. tidal bulge produced by the alignments of Venus and the Earth. 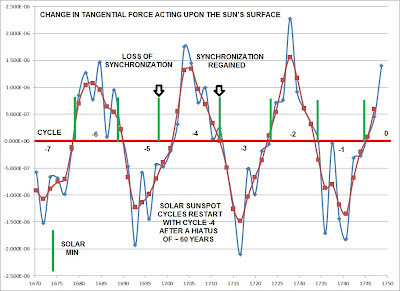 (=0.02 % of the mass of the Sun). 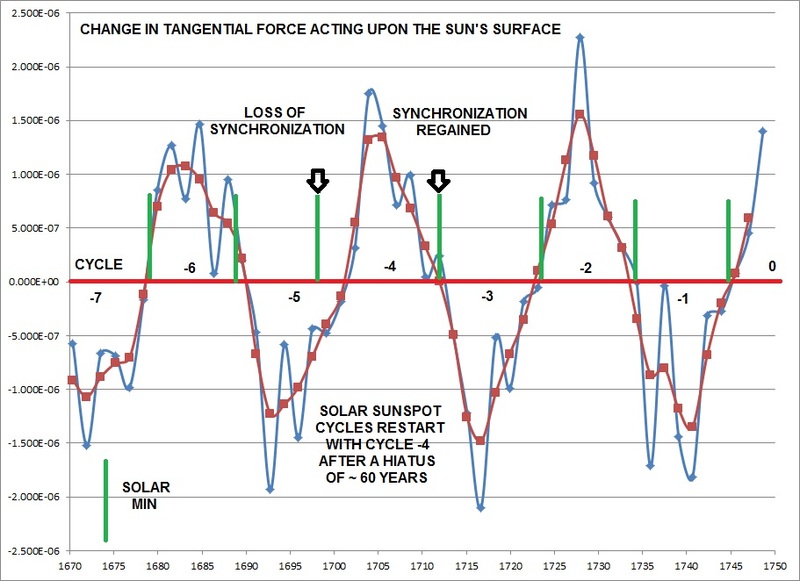 occurs for the first minimum in cycle -4 in 1698.
solar activity in 1698 with the first minimum of cycle -4.
onset of the Maunder Minimum. 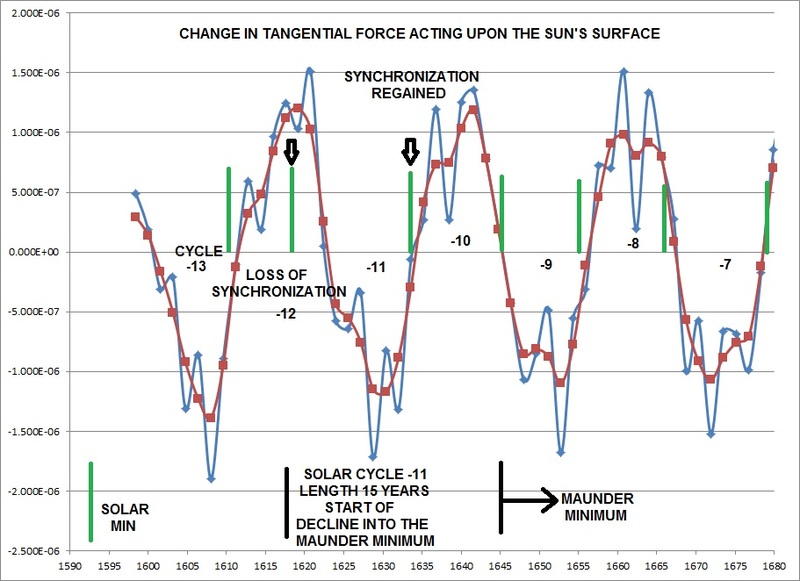 first minimum for Cycle -12 starting 1610.8.
cycles each of 11.07 years length. over a 410 year period. 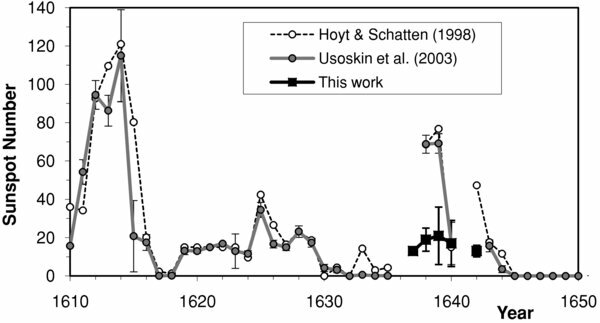 The Vaquero et al paper is significant and now backs up the 14C record for a solar slow down at 1610. There is a combination of tidal and AM effects happening I believe. 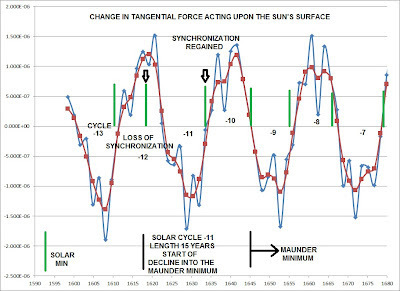 AM influencing grand minima and overall modulation and perhaps tidal forces for cycle length. These are only my views of course. A small correction, so that others don't get the wrong idea. The model I am proposing is driven by Jupiter's gravitational force, not its tidal force. It is Jupiter's gravitational force that acts upon the asymmetry formed the periodically tidal bulges of Venus and the Earth. the Jovian AM influences the timing grand minima but the evidence you present at your site conclusively shows that it somehow involved.